The impact of smoking on physical health is very well documented, but new research suggests it could be just as damaging to mental health. A team from King's College London has published a new study today which claims there is a link between smoking and psychosis, apparently because cigarettes change the way the brain deals with pleasure and reward which can lead to mental health problems. It's already known that people who have psychotic illnesses are more likely to smoke, but previously it was thought this was because the habit helped them deal with their feelings. Now it's claimed there is more to it than this, with the Lancet Psychiatry medical journal study pointing towards people's psychosis being a result of their smoking, when coupled with things like their genetic makeup. 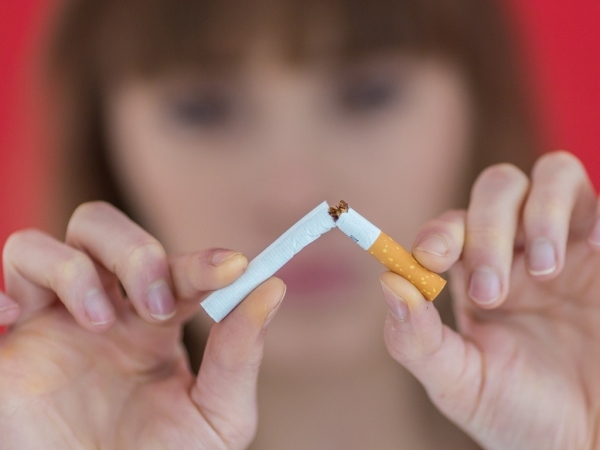 "While it is always hard to determine the direction of causality, our findings indicate that smoking should be taken seriously as a possible risk factor for developing psychosis, and not dismissed simply as a consequence of the illness," Dr James MacCabe said. Scientists came across the apparent link when looking at information gathered from 290,000 people across 61 studies. Of those people 15,000 smoked and it was found that 57 per cent of people treated for psychosis for the first time used cigarettes. Psychotic patients were three times more likely to smoke than those who hadn't suffered any problems, while those who smoked daily became ill a year earlier than non-smokers. The scientists pointed out that at the moment this is just a statistical link though, and they don't know whether there is anything in tobacco which could cause things like schizophrenia. They did speculate that it might have something to do with dopamine, the chemical which deals with emotion in the brain. "It is possible that nicotine exposure, by increasing the release of dopamine, causes psychosis to develop," Professor Sir Robin Murray, of the Institute of Psychiatry at King’s College, said.